Sir Sarvepalli Radhakrishnan, clearly one of the early modern doyens of Indian Philosophy, remained much enamored of Western thought—of which he took the ancient to classical tradition as his model—and he spent a good part of his speculative life attempting to reconfigure Indian thought to fit the vesture, maybe the toga, of his Greek heroes, namely Plato and Plotinus, and to an extent of Hegelianism that came across via F. H. Bradley: Occidental in form, and Indian in content. (Incidentally, an adage or motto that was also used to ground modernism in Indian art.) It was as if this ‘fusion’ or ‘harmonization’ was easy of making without compromising what since Max Müller has come to be called ‘Indian Philosophy’ (a trope coined to mimic the dominant movement of Western or Occidental Philosophy). The paper intends to demonstrate this worrisome yet compelling motif by advancing an analysis of certain representative texts and arguments from Radhakrishnan’s prolific writing on Indian Philosophy and East-West Thinking; particularly as these relate to the question of the ‘appearances’ (māyā/avidyā), their alignment with Platonic ‘shadows,’ while finding their redemption in the realism propelled by modern empirical science (that was taken to be coterminous with scientific realism). The paper traces the justification for Radhakrishnan’s variegated moves to ‘save the appearances’ through his strained reading of the Upaniṣadic texts and under-standing of Śaṅkara’s nondualism, leading to the argument that although the world is brought about by māyā, it is not an illusion or nonexistent, or unhinged from the Absolute, but rather naïvely real. There may have been a supplementary political motivation as well inspired by the burgeoning nationalist spirit, after Gandhi, and the need for India to become culturally and morally strong in its own terms (svadeshi svarāj). The present paper is a revised and updated version of an earlier publication: ‘Saving the Appearance in Plato’s Academy.’ In Rama Rao Pappu (ed.). New Essays in the Philosophy of Sarvepalli Radhakrishnan. Delhi: Indian Books Centre, 1995, pp. 327–344. Bhattacharjee, Tuhin (2015). 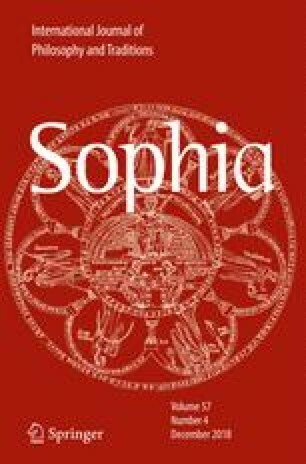 Indo-Greek Culture and Colonial Memory, or, Was Alexander a European?’ Rupkatha Journal on Interdisciplinary Studies in Humanities, Volume VII, Number 2 (online, www.rupkatha.com, accessed 21/8/2018).